Two delicious new recipes for Carnation Easter baking! Easter is an occasion where the whole family can get together and here at Carnation we can’t wait for you to try out our two new scrumptious Easter recipes, White Chocolate Cheesecake and Flowerpot Blueberry Muffins. We have also gathered together a selection of our favourite Carnation recipes for you to share with your guests, ranging from our tangy Carrot Cake, to our playful Iced Easter Biscuits and Easter Chicks! 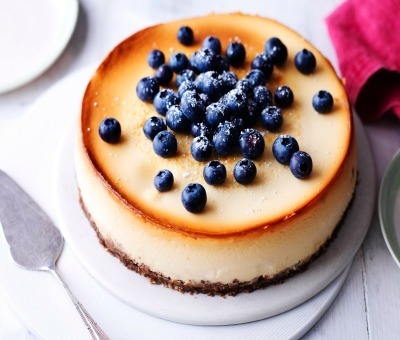 Our new Cheesecake recipe is great for every occasion. Topped with delicious blueberries, this recipe is ideal for family get-togethers. Cut a slice, and share some Carnation baking this Easter. These pretty blueberry flowerpot muffins will make for the ideal homemade gift For Easter. In four simple steps you will have 12 scrumptious muffins to bring a taste of Spring. Decorating these adorable little Easter biscuits is a great way to get the whole family involved in the Easter baking. Have a go at making them and put a smile on everyone’s face. This slightly spiced carrot cake will be the ideal dessert at any family gathering. A delicious combination of freshly grated carrot, juicy raisins and nuts topped with fluffy Carnation frosting will be a popular all round choice. Start your Easter celebrations this year with these playful cupcakes! Get the whole family involved and see who can decorate them to create the funniest face. Enjoy!